The Country's Goods and Services exports during the current financial year would cross USD 500 billion despite challenges being faced on the global trade front, Commerce and Industry Minister Suresh Prabhu said recently. He said the Commerce Ministry is working on identifying new products and new markets to further push the shipments. During the April-January period of the current financial year, exports grew 9.52 per cent to USD 271.8 billion. India export services worth about USD 130-150 billion per year. The consumer market is expected to grow at 12 percent annually over the next decade and touch Rs 335 lakh crore (Rs.335 trillion), says a report. The consumer market was around Rs 110 lakh crore (Rs.110 trillion) in 2018, clipping past 13 percent annually in the past decade when it stood at Rs 31 lakh crore (Rs.31 trillion) in 2008. Between 2008 and 2028, the share of private consumption in GDP has increased from 56.8 to 62 percent, higher than the emerging market average which is expected to stay constant at 50-51 percent, the Boston Consulting Group (BCG) said in a report Tuesday. Growth will be driven by increasing population, higher affluence, continued urbanisation, shifting family structures, the report said and noted that with an 8 percent growth in average spend per household across all income segments, the critical differentiator in consumption growth has turned out to be the expanding base of affluent and elite households. These households have grown at 10 percent annually in the past decade to double their share from 6 percent in 2008 to 12 percent in 2018. Subsequently, consumption by the affluent and the elite grew at 20 percent annually to corner one-third of the total consumption pie, it said. Top metros led the growth story in the past decade with 16 percent annual growth. Demand rose in both products and services with clothing, footwear and healthcare amongst the fastest growing categories. "While clothing and footwear grew 16 percent CAGR, for healthcare it was 14 percent. Categories like financial services, social protection and jewellery also registered strong growth of 15-19 percent annually, it said. Online retail market grew at a rapid 78 percent albeit on a small base in the last 10 years, taking the share of online retail to 2.8 percent of total retail spending in 2018 from 0.1 percent in 2008. This growth was led by tenfold growth in the number of Internet users and 26 times growth in the number of online shoppers between 2008 and 2018, it added. The biggest beneficiaries of the wage gains would be the high-skilled, urban, more experienced, and mainly male workers. For low-skilled workers, the shift would result in an increase in formal jobs, it said. "Our research shows that exports can improve the performance of local labour markets and that policies need to be put in place to increase exports in South Asia, while ensuring that the benefits of higher exports are shared more broadly," said Gladys Lopez-Acevedo, World Bank Lead Economist and one of the report's authors. Addressing constraints that prevent people from moving and taking advantage of new job opportunities is important, Lopez-Acevedo said. India grew at a rate of 7.2 per cent in 2017, at the same time reducing the number of people living in poverty. However, most Indians do not have regular jobs in the formal economy and differences in wages across regions and in the quality of employment opportunities prevail. The increasing population also puts pressure on labour markets, said the joint study. In addition, trade has been falling, from 55.8 per cent to 41.1 per cent of the Gross Domestic Product between 2012 and 2017. India's exports are mainly capital-intensive goods such as chemicals and fabricated metals, meaning that the direct benefits for workers have been limited, it said. With the right policies, India can ensure that greater export orientation can boost workers' gains from trade and spread them more widely, so benefiting disadvantaged groups, the report said. "Economists and policy makers need a better understanding of how exactly globalisation affects both workers and national labour markets," said Daniel Samaan, Senior Economist, ILO Research Department and one of the report's authors. "Our research shows that more exports can create benefits for workers by raising wages and reducing informality, but we need stronger policies to ensure these benefits reach everyone in the labour market, and don't leave any groups behind," he added. India and Countries of the Latin American and Caribbean region have huge potential to boost economic ties in areas like agriculture, health, energy and information technology, the Commerce Ministry said. Commerce and Industry Minister Suresh Prabhu while addressing diplomats of the Latin America and Caribbean (LAC) Strategic Economic Cooperation here, said there is a need for a multi-pronged strategy to enhance bilateral trade in merchandise and services. "India, as a fast growing developing economy is experiencing burgeoning food and energy needs, and therefore, deeper ties with partners in the LAC region could prove to be mutually beneficial." The LAC region comprises 43 Countries and the major economic and trading partners of India are Brazil, Argentina, Peru, Chile, Colombia, Ecuador, Guatemala, Venezuela, Panama and Cuba. India-LAC bilateral trade during 2017-18 stood at USD 29.33 billion as against USD 24.52 billion in 2016-17. India is likely to import up to 1 million tonnes of corn this year as lower production and growing domestic poultry consumption boosts demand for overseas purchases, two traders said recently. "India is expected to buy anything between 500,000 tonnes and 1 million tonnes as local crop is lower," said one of the traders while on the sidelines of a grain industry conference in Singapore. "It will be mainly Ukrainian corn as India imports only non-genetically modified corn." A third trader said imports are expected to total around 300,000 to 400,000 tonnes. The shift to imports in the world's seventh-largest corn producer, which typically exports to Asia, highlights the breadth of the crop losses due to the drought and armyworm. Union Minister of Commerce and Industry, Suresh Prabhu, held an interaction with Farmer Producers' Organizations (FPOs) through video link in 81 locations of the Country in New Delhi. Around twelve locations from the North East were part of this interaction with the Minister. Commerce Minster discussed with the FPOs about measures that may be implemented by them in order to boost exports of products from specific regions of the States. In order to implement the Agriculture Export Policy 40 clusters have been formed across the Country and through NABARD, APEDA, MPEDA and Plantation Boards farmer's organizations will be given all assistance in order to ensure that farmers get adequate market price and are able to export their produce. Commerce Minister suggested that FPOs must form federations which can become engines of growth in the districts. Minister informed that he is writing to all FPOs to take the lead and ensure that the object of the Agriculture Export Policy of doubling farmers income is implemented. The agri export policy is aligned with the vision of doubling of farmers' income by providing the farmers the benefit of export opportunities through a stable trade policy regime. The policy gives focus on developing clusters with potential for export-oriented production of specific products and greater thrust on value added products, promotion and branding of produce of India. The main aim of the policy is to double agriculture exports to USD 60 billion by 2022. Several initiatives have been taken to boost agricultural exports which include lifting of prohibition on export of Edible Oils and Pulses and provision of MEIS on a number of agricultural products. Export duty on sugar has been removed and high-level delegations have visited Indonesia, Malaysia, China and Bangladesh to explore export prospect of raw and refined sugar during this sugar season. Special efforts have also been made to boost agricultural exports to China. General Administration of Customs of the PR of China (GACC) has registered five plants for export of Rapeseed Meal to China. A GACC team is visiting India to inspect Soyabean Meal plants. India has signed a new protocol with China for export of rice, both Basmati and non-basmati, in June, 2018. GACC has approved total 24 Indian rice mills for export of rice to China. A protocol for export of fish meal to China has also been signed on 28.11.2018 with GACC China to pave the way for export of Indian fish oil and fish meal to China. The Afghan President, Mr Ashraf Ghani, flagged off his country's first export shipment to India through Iran's strategic Chabahar Port. The consignment was shipped to Mumbai. The ceremony took place in Afghanistan's Nimroz province. The President said that the exports through the Iranian port would connect hundreds of villages and millions of Afghans to the outside world. "Chabahar Port is the result of healthy cooperation between India, Iran and Afghanistan; this will ensure economic growth," he added. The shipment contained 570 tonnes of dry fruits, textiles, carpets and other goods carried by 23 vehicles, it is understood. Chabahar Port, being developed by India, is seen as a transit route between Afghanistan and India, bypassing Pakistan. In 2017, India had sent its first consignment of wheat to Afghanistan through Chabahar, which is located about 140 km from Pakistan's strategic Gwadar port, reports said. THE Union Minister of Commerce and Industry and Civil Aviation, Mr Suresh Prabhu, last week addressed the first stakeholder consultation on the draft National Logistics Policy prepared by the Department of Logistics of the Ministry of Commerce and Industry in New Delhi. Speaking on the occasion, the Commerce Minister said that the cost of logistics in India is extremely high as compared to other countries. India is now aiming to become one of the most efficient logistics providers in the world. Commence Minister further stated that for this the Ministry of Commerce has drafted a National Logistics Policy which will provide an overall vision and direction to integrated development of logistics in the country. He informed that the two-day national conference has been organised to seek inputs of the policy from all the stakeholders who will be the end users of the National Logistics Portal. The Minister further said that the vision of the policy is to ramp-up economic growth and trade competitiveness through an integrated, seamless, efficient, reliable and cost-effective logistics network. Mr Prabhu informed that logistics is a very important component of ease of doing business as 80 per cent of ease in business relates to logistics. In order to ensure cross-ministerial coordination, a robust governance framework has been set up bringing together government, academia, and industry. Mr Prabhu promised that he will personally oversee the implementation of the plan and eliminate any bottlenecks. He also informed that the Ministry is putting in place the national logistics fund to help implement the plan. He hoped that the two-day consultation will result in fruitful discussion and he assured that the inputs given by the stakeholders will be incorporated in the policy. On this occasion, the Commerce Minister launched the SAFAR Mobile App. This app will help to gauge the actual issues faced by transporters on the road. The app tracks the incidence of a number of parameters faced by transporters and automatically records the location of the issue. Transporters, truck drivers, and general public may use the app for reporting their logistics issues to the Ministry of Commerce and Industry. The app is available in 8 languages. On this occasion, Special Secretary, Logistics, N. Sivasailam, said that the logistics business in the country is worth $160 billion and is growing at 7 per cent - 8 per cent every year. The key objectives of the policy are to reduce logistics cost from 14 per cent to 10 per cent of GDP, create additional 10-15 million jobs in the sector, become a single point for all logistics and trade facilitation and reduce losses in agriculture to less than 5 per cent by facilitating agri-logistics in the country. The Special Secretary informed that in order to drive these objectives, 18 thrust areas have been detailed in the policy. These include optimising modal mix in the country and development of logistics infrastructure, enhancing transport and rolling stock infrastructure, strengthening the warehousing and agri-logistics sector, streamlining key logistics processes-ex-im and inter-state movement, facilitating first mile and last mile connectivity, and easing logistics for MSME, e-commerce and all other key sectors in the economy, said a release. Calcutta has emerged as the third-largest market for warehousing and logistics in India, recording a 70 per cent growth in the absorption of space as the state starts reaping benefit from the implementation of the GST and the penetration of e-commerce. The National Capital Region around Delhi and Bangalore are the only two locations to fare better than the city, a rare feat achieved by Calcutta among any asset class in real estate. The city, which usually appears at the bottom of the pecking order when it comes to residential and office space absorptions, consumed 3.4-million-square-foot space in 2018. A study conducted by international property consultancy JLL suggests greater Calcutta may be able to attract Rs 5,000 crore (Rs.50 billion) investment by 2022, catering to the demand from occupiers looking to service the east and Northeast India. The city and its suburbs consumed 3.4 million square feet Grade A space in 2018, up 70 per cent from 2017 when 2 million sq ft was taken up. JLL predicted fresh absorption by Calcutta would double by 2022. Against 17.1 million stock in 2018, the total stock will go up to 35.8 million by 2022, registering a compounded annual growth rate of 20 per cent. Chandranath Dey, senior director at JLL, said the GST and penetration of e-commerce backed by mobile internet is catalysing the growth. "There is no need to keep large stock points in every state for local tax purpose. 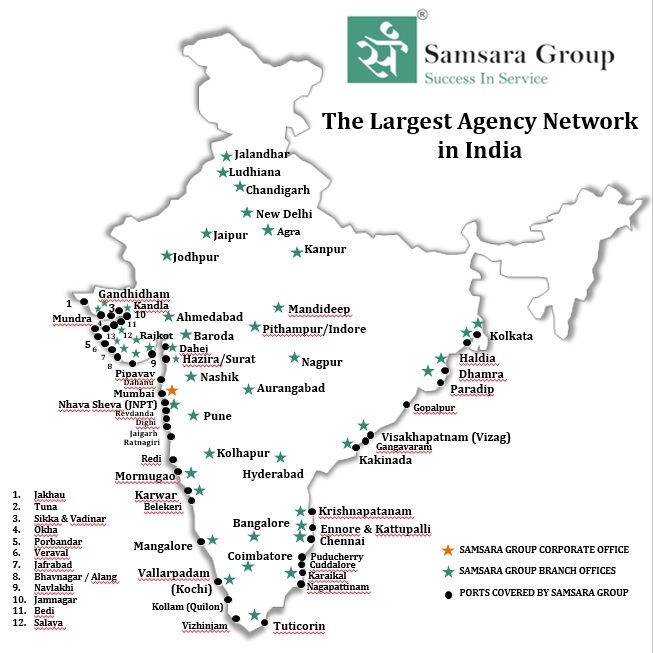 Essentially companies are veering towards the hub-and-spoke model and Calcutta is becoming the hub for the entire east and northeastern states," Dey explained. The city not only caters to the 14-million consumption base of the Calcutta Metropolitan Region but also to the 46 million northeastern population. While new demand is coming essentially from e-commerce and third-party logistics players, the consolidation of space is also creating demand. Cost of storage and reaching out to the customer determine the logistics cost, apart from the customer base. Several companies are looking to move out from small boxes to bigger ones. Despite the changes in the FDI policy for e-commerce, two giants - Amazon and Flipkart - are scouting for multiple locations to scale up warehouses. Demand is also coming from their vendors and suppliers. Real estate industry sources said Flipkart is directly operating 6 lakh sq ft space while a million sq ft is in pipeline. In comparison, Amazon is directly operating 3.5 lakh sq ft and another 2.5 lakh sq ft is being added. This is over and above the 100-acre plot Flipkart had acquired from the Bengal government at Haringhata. Potentially, 2 million sq ft can be added there. National Highway 2 (Delhi Road) and NH 6 (Bombay Road) accounted for 82 per cent of the Grade A & B warehousing stock and 85 per cent of the total absorption in 2018. The "Calcutta Industrial Real Estate Map", which JLL recently published, also included north suburbs (BT Road/ Jessore Road) and ports and south suburbs (Diamond Harbour Road) as two important vectors. Strong demand is egging logistics-focused global PE funds/developers such as Morgan Stanley, ESR, Indospace, Embassy putting money in Calcutta. Surekha Bihani, JLL's managing director in Calcutta, said: "We are constantly receiving enquiries from national and international private equity funds, e-commerce and FMCG players for grade A warehousing space in Calcutta region." Cochin Port has revealed its plans to construct a new cruise terminal with a capacity to handle 5,000 visitors by February 2020. The Ministry of Tourism has been supporting Cochin Port in developing tourism infrastructure in the port area. According to the Ministry of Shipping, the Cochin Port Trust issued a contractor work order on July 20 to commence the construction of the new terminal at the port's Ernakulam Wharf. The estimated cost of construction of the terminal is Rs 257.2 million ($ 3.7 million), of which Rs 214.1 million has been sanctioned as grant by the Ministry of Tourism. In recent years, the Ministry of Shipping and Ministry of Tourism have jointly taken several initiatives to promote cruise tourism in India. Currently, cruise vessels with a length of up to 260 m are handled at the BTP berth and Samudrika, the cruise passenger facilitation centre. However, vessels with a length of more than 260 m are handled at the Ernakulam Wharf. It is in this context the new cruise terminal has been envisaged at Ernakulam Wharf, a release said. The newly-structured Nhava Sheva-Mundra-Gulf (NMG) service commenced operations at APM Terminals Mumbai on February 21, 2019. The first vessel call for this service was made by Sima Marine's M.V. OEL Transworld. Welcoming the service APM Terminals Mumbai COO, Mr Ravi Gaitonde, said, "We are proud to be the terminal of choice for this service. We stay committed to NMG service and all of India's trade with our reliable, safe and productive terminal services." Speaking on the association with APM Terminals Mumbai, Mr K. P. Unnikrishnan, Director, Sima Marine (India) Pvt. Ltd, said, "We are quite confident that the newly-restructured NMG service calling at APM Terminals Mumbai will give desired professional service to our valued customers. Their true professional approach and enhanced productivity at APM Terminals Mumbai shall result in better service quality to our valued customers and we look forward to a long business relationship." The NMG is a weekly service connecting various ports in the Middle East. Its rotation is JNPT (APM Terminals Mumbai) - Mundra - Khalifa - Jebel Ali - Sohar. Sima Marine India Pvt. Ltd, a subsidiary of Dubai-based Simatech Shipping, has a growing presence in India for its international operations, said a release. APM Terminals Inland Services, South Asia is helping set up solar power plants in deep pockets of India. The company is providing tailor-made logistics solutions to help overcome transport, technical and procedural challenges. The company is now offering a new end-to-end solution for major solar projects, which includes receiving cargo at the sea port, facilitating Customs inspection and clearance, multimodal transportation to reach these isolated areas and de-stuffing at the site, highlighted a release. "Back in 2015, solar power was just beginning to catch everybody's attention and imports from China were picking up at a tremendous pace. To date, we have handled more than 15 large projects from most of the leading solar players, covering over 10,500 acres of land," said Mr Ajit Venkataraman, MD, APM Terminals Inland Services, South Asia. "We realised that the solar sector players needed a trusted logistics partner capable of understanding and addressing business complexities. We then developed tailor-made solutions that relieved the customer from hassle, technicalities and legalities." Previously, the de-stuffing of solar panels was a delicate and tedious process but special equipment used at APM Terminals means it is now a much easier affair. This gives APM Terminals more control in the supply chain and allows for more reliability and customisation. This has resulted in the company becoming the front runner for large solar developers. India aims to have 100 GW of solar energy capacity by 2022 and has been working towards achieving this goal in recent years-a challenging task which aims to get four times the current installed solar capacity. At present, the country imports more than 80 per cent of its solar panels, mostly from China. In order to reduce costs and make deadlines, it is crucial to guarantee that the transportation goes as smoothly as possible, both at sea, and across the hinterlands of India-a journey which is not just long, but also difficult and requiring the right expertise. "It is about reaching the destination, especially when there are no or bad roads. For instance, one of the recent installation sites is in Rajasthan across the Thar Desert," said Mr Venkataraman. All solar projects in India are government tenders, and timely completion is extremely critical. If not delivered in time, it can lead to major penalties. Prior to the new initiative, solar operators had to work on smaller projects and coordinate with multiple stakeholders. It was difficult to find a reliable one-stop solution or contact who could take care of the entire requirement. This requirement is now being addressed. APM Terminals Inland Services, South Asia has made solar deliveries across states like Rajasthan, Tamil Nadu, Andhra Pradesh, Karnataka, Madhya Pradesh, other regions in Central India and even over the Thar Desert. These deliveries have been taken and solar panels handled from the ports of Chennai, Mundra, Vizag and Krishnapatnam, the release added. The DP World-operated Mundra International Container Terminal (MICT) has achieved a new milestone by registering the highest berth productivity of 179.38, which is approximately 1.29 times higher than the average. In 2019, MICT has successfully maintained the berth productivity of over 170 while handling four vessels deployed under a service connecting to Europe. The terminal also accomplished another record for highest berth productivity of 207.06 for another vessel deployed under a service connecting to East Africa. Capt. Sujeet Singh, CEO, DP World Mundra, said, "At DP World, our emphasis continues to be on enhancing our productivity by constantly modernising terminal infrastructure and IT systems to provide faster and cost-effective trade solutions to our customers. Our focus continues to be on facilitating a reliable and swift flow of cargo, thus making our customers' product reach the market faster, reduce the cost of logistics and improve effectiveness of the supply chain in North Western India." MICT has successfully handled more than 11 million TEUs since its inception in June 2003, making it the most efficient trade gateway for Gujarat and the North Indian hinterland. It continues to excel in areas of efficiency, achieving an average Gross Crane Rate (GCR) at 34.29 moves per hour, putting MICT in the top quartile of the best performing container terminals globally, said a release.